What's better than a great tasting burger washed down with a cold glass of beer? 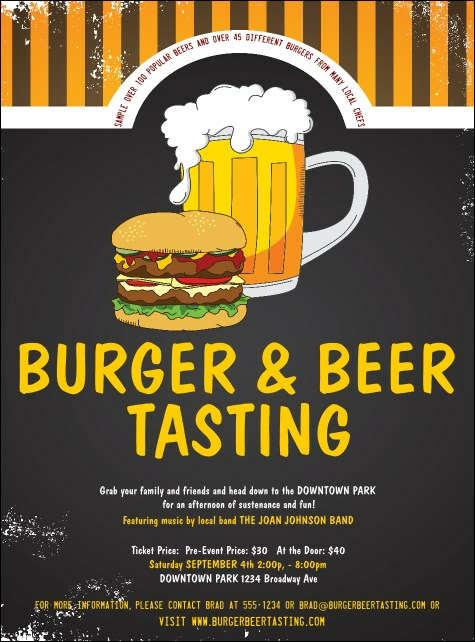 Promote your delectable event with the Burgers and Beer Flyer! The yellow design and text stand out on this dark grey template. Advertise your lagers, ales, ciders and more with eleven lines for your tasting information.